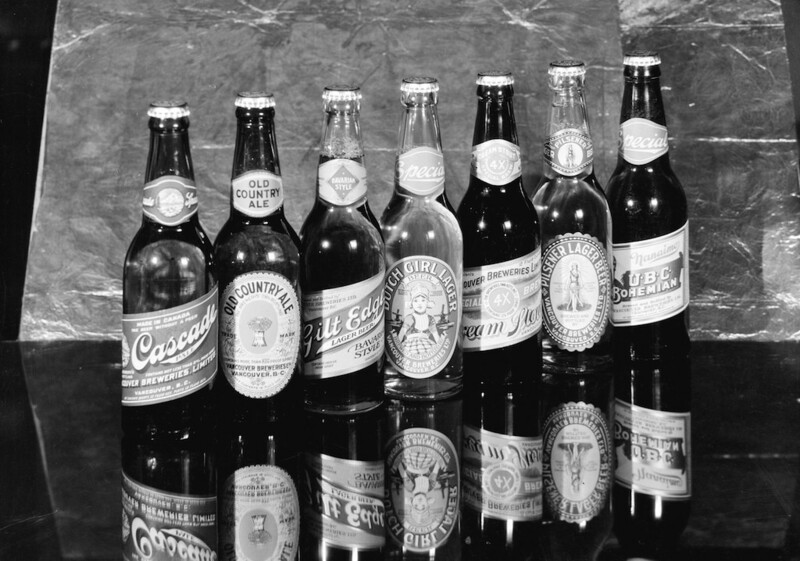 Craft brewing is definitely in style in Vancouver these days, but we’ve been a beer city for the last century. 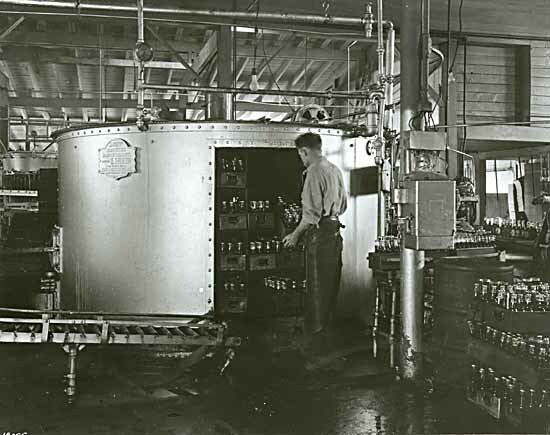 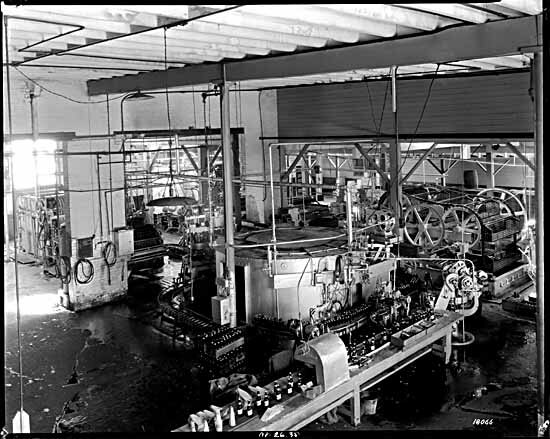 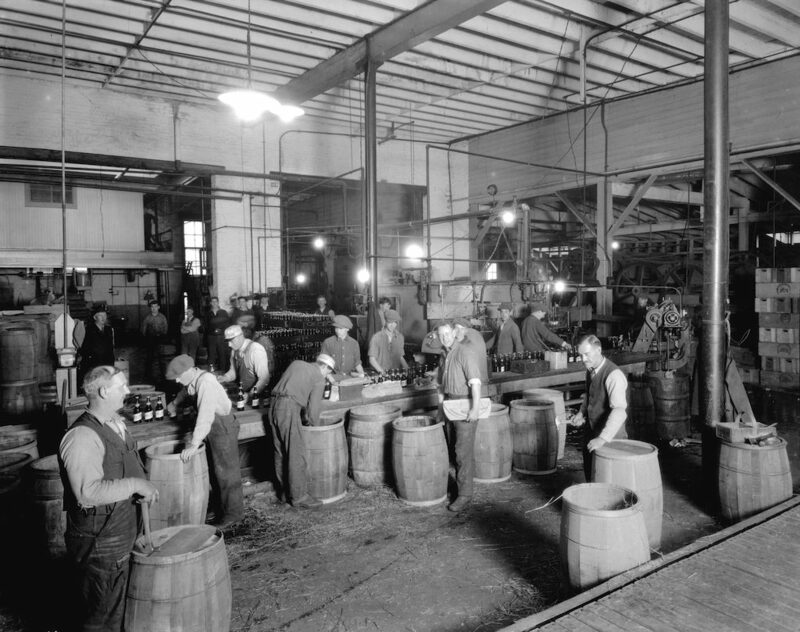 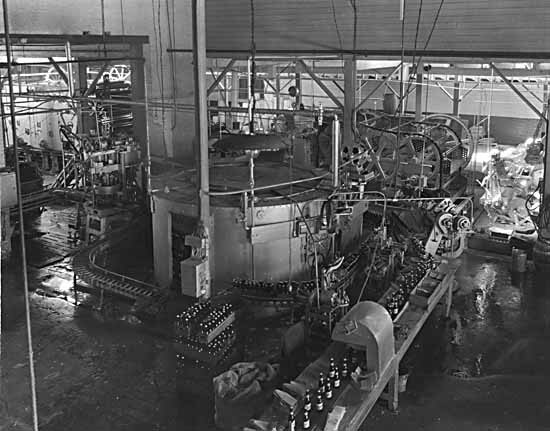 Pour yourself a pint from that growler of the seasonal tap at your favourite local brewery, and enjoy this brief photographic glimpse at beer making, marketing, and drinking in Vancouver’s history. 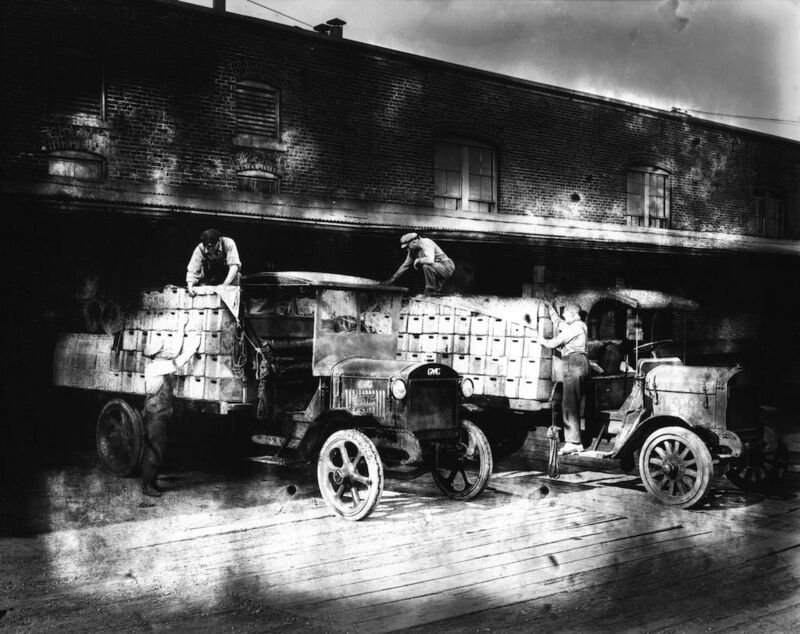 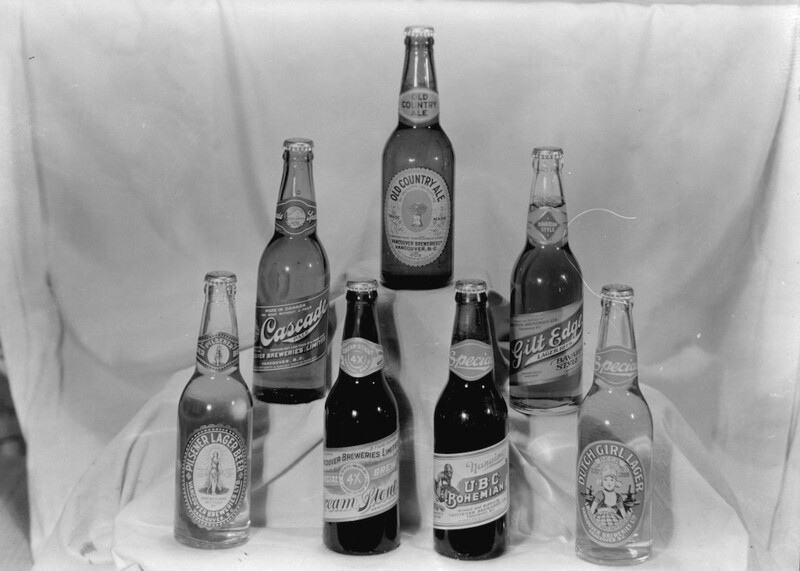 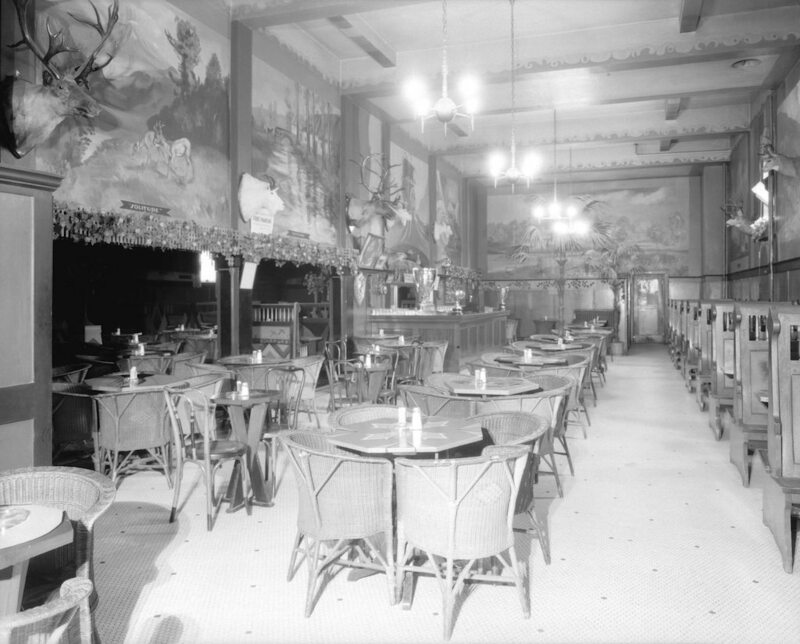 British Columbia’s era of the beer parlour began after prohibition ended in 1921. 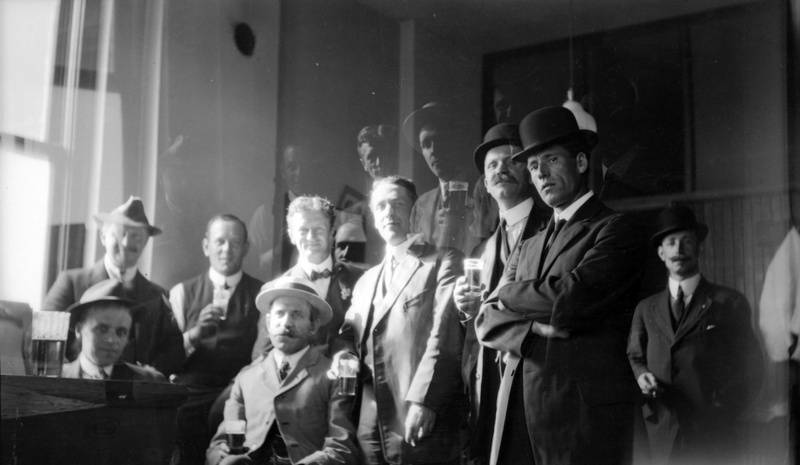 Some pre-prohibition hotel-bars began selling beer under the guise of a club. 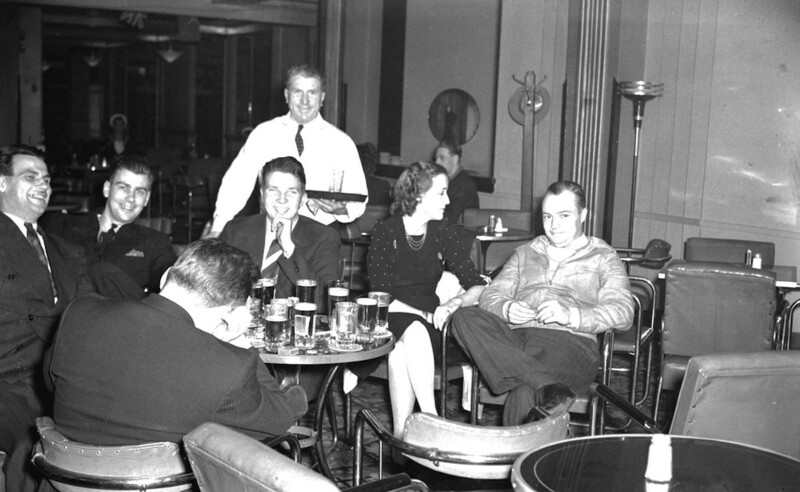 One pays a small fee to join the club then may purchase beer in their beverage rooms. 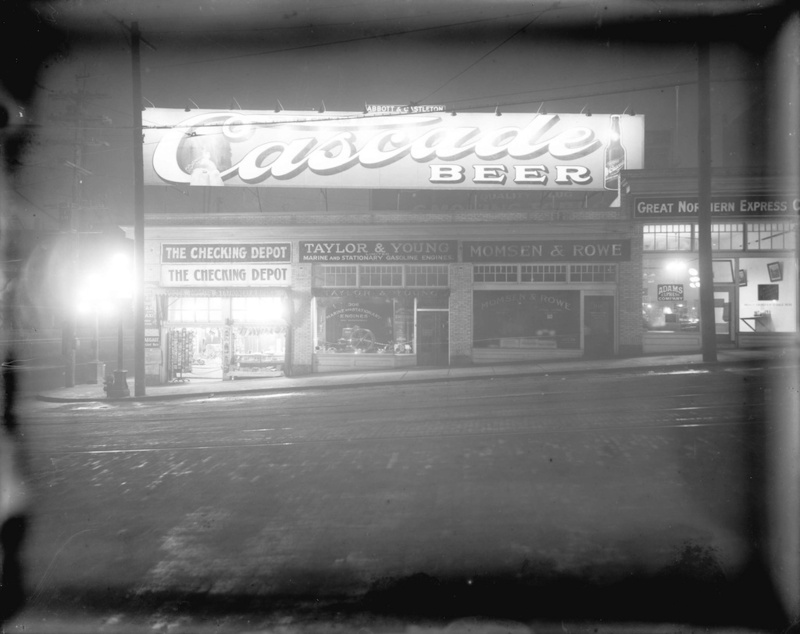 By 1925 those districts, which included Vancouver, that voted for beer by the glass, saw the first public beer parlours open. 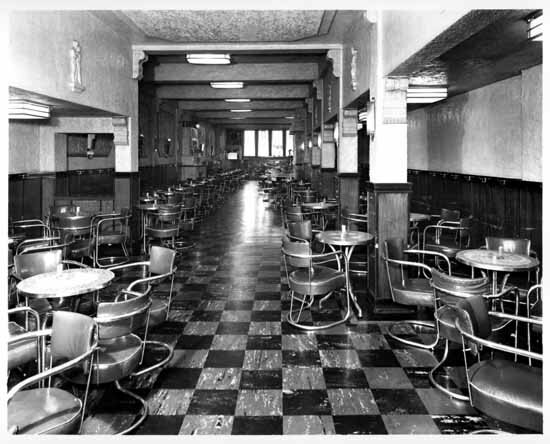 A law enacted in 1942 called for the parlours to separate areas for men and women–a configuration that lasted in some venues until the 1960s.